My preference is to shuck the clams before smoking so they absorb more of the smoke flavor, but whole clams can be smoked until the shells open, about ten minutes. Fishmongers use different names for clams based on their size. 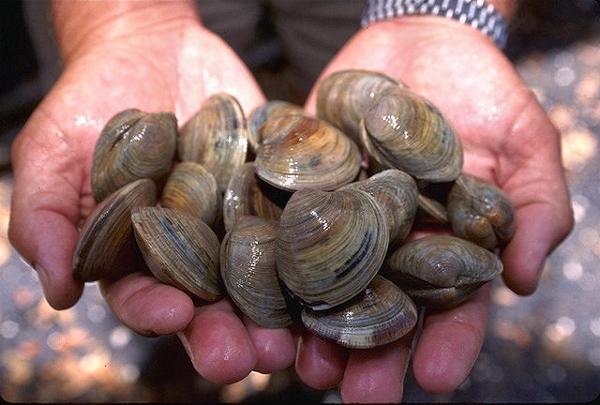 The smallest harvestable clam is a littleneck (about one inch in diameter), then middleneck, followed by topneck. 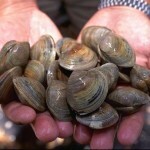 Larger clams are cherrystones (three to four per pound) and chowder clams. One pound of topneck clams contains about five to seven clams. From Mike Stines' article "How to Smoke Succulent Shellfish" here.